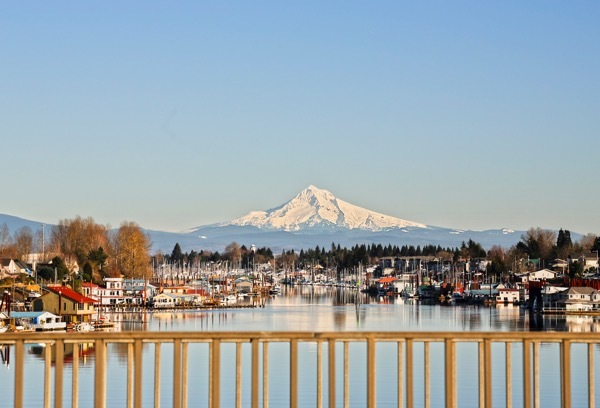 Vancouver is located in Southwest Washington just across the Columbia River from Portland Oregon. Downtown Portland is just quick 10 minute trip across the Interstate Bridge, in fact many areas in Vancouver are closer to downtown Portland than other Portland neighborhoods. There is no state income tax in Washington so Vancouver is a popular destination for people relocating to the Portland area, although if you live in Vancouver and work in Portland you will still need to pay Oregon state income tax. Vancouver is the oldest city in the state of Washington, home to the original Fort Vancouver. The city of Vancouver is part of Clark county and has a population of about 160,000, while the total population of Clark county is approximately 438,000 as of 2012.